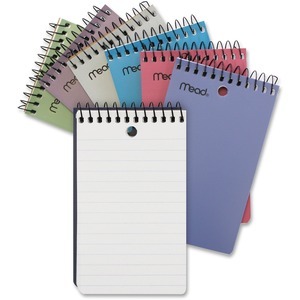 Jot down notes or assignments with this handy wire-bound memo book that has 200 pages front and back. Poly front cover protects the 100 sheets of college-ruled white paper inside. Top, black single-wire binding lets pages turn easily and lie perfectly flat.